I'll share a little more knowledge might have been prevalent among networking professionals. This time I'll share my knowledge how to do a remote on the other connections using putty. In practice this time I was using VMWare Server software that help me give the Debian OS. 2. "No More, No More"
Kamen Rider Den-O (仮面ライダー電王, ) is the seventeenth installment in the popular Kamen Rider Series of tokusatsu programs. It is a joint collaboration between Ishimori Productions and Toei. It premiered January 28, 2007 on TV Asahi, and concluded airing on January 20, 2008. Its lead actor Takeru Satoh is the first Kamen Rider Series lead born in the Heisei period of Japanese history. Along with the usual film adaptation that Heisei Kamen Rider series have released during the late summer of their broadcast run, Den-O had a second film released in the spring following its broadcast run which grossed 730 million yen (approximately US$6.8 million) and a series of 10 OVA shorts, both of which are firsts for any Kamen Rider. Continuing the trend, Kamen Rider Den-O also had a third film released in October 2008, the first for any Kamen Rider series and a second series of 12 OVA shorts was released in November 2008. Takeru Satoh claims that the reason that Den-O has amassed such popularity is because of its comedic timing. A fourth film was released on May 1, 2009, and a fifth is purported to be scheduled for release in June 2010. Kamen Rider 555 (仮面ライダー555(ファイズ) is a Japanese tokusatsu television series. It is the 13th installment in the popular Kamen Rider Series. It is a joint collaboration between Ishimori Productions and Toei, and was originally broadcasted on TV Asahi from January 26, 2003 to January 18, 2004. 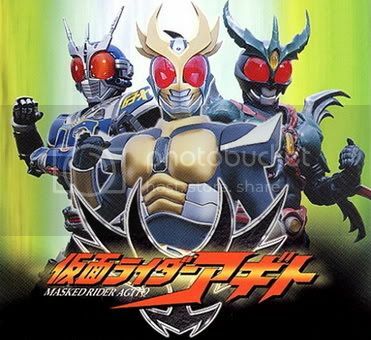 It was also dubbed into Korean as Masked Rider Φ's (가면라이더 파이즈). The Smart Brain Corporation, the world's most powerful corporation, is trying to take over the world using Orphenoch, the next stage in humanity's evolution, to covertly kill off the human population. In pursuit of this, they develop three suits of power armor, called Rider Gear (Delta, Faiz, and Kaixa), to find and protect the Orphenoch King, who can fix a defect within Orphenoch DNA which causes their genetic structure to break down, leading to death. The Rider Gears are stolen by Hanagata, the Goat Orphenoch and former President of Smart Brain Corporation. He sends them to his foster children (dubbed the Ryuseiji, after the school they attended) so they can stop the Orphenoch from achieving their goal. However, Rider Gears were designed to be worn by Orphenoch, and humans are unable to activate the systems without undergoing genetic modification. A young loner, Takumi Inui, is unwillingly drawn into the conflict between the Orphenoch and humans and becomes Kamen Rider Faiz to save the life of Mari Sonada, one of the Ryuseiji. The Smart Brain Corporation begins targeting him in an attempt to retrieve the Faiz Gear. However, there is division amongst the Orphenoch, as those who wish to co-exist with humans rather than kill them, begin resisting Smart Brain, who in turn targets them as well. Most of these "renegade" Orphenochs are either killed, remain neutral or begin siding with the Ryuseiji against the Smart Brain Corporation. When the Tokyo police discover the Orphenoch are behind a series of bizarre murders, they begin operations to defeat the creatures, largely unaware of the various factions involved. They even begin performing experiments on captured Orphenoch in an attempt to find ways of destroying them, though this does not go well. The Orphenoch King eventually awakens within a young boy named Terruo, whom Naoya Kaido and Keitaro Kikuchi saved and befriended. Now, it is up to the holders of the Rider Gears to band together and fight for humanity's survival. Kamen Rider Kabuto (仮面ライダーカブト, ) is a Japanese tokusatsu superhero television series. It is the sixteenth installment in the popular Kamen Rider Series of tokusatsu programs. It is a joint collaboration between Ishimori Productions and Toei. The series was broadcast on TV Asahi. The first episode aired on January 29, 2006, and with the final episode airing on January 21, 2007, completing the series with 49 episodes. The series represents the 35th anniversary of the Masked Rider Series, as indicated by a notice at the beginning of the pilot episode reading, in Japanese, "Kamen Rider 35th Anniversary Production." Kamen Rider Kabuto is the first Kamen Rider Series to be broadcast in high-definition format. 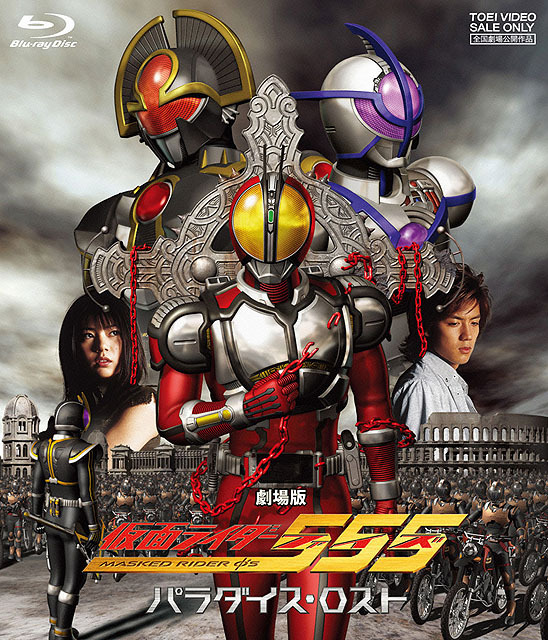 Kamen Rider Agito (仮面ライダーアギト), is the eleventh installment in the popular Kamen Rider tokusatsu franchise. The series represented the 30th Anniversary of the Kamen Rider Series. The series was also a joint collaboration between Ishimori Productions and Toei and was shown on TV Asahi from January 28, 2001 to January 27, 2002. The catchphrase for the series is "Awaken the soul"
2010 Cah Ngalam | Blogger Templates by Blogger Template Place | supported by One-4-All.